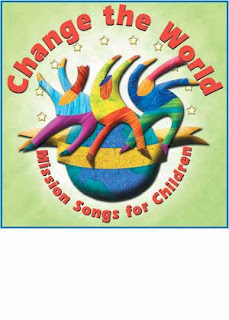 2) Which are Your Favorite Songs for Mission Trips? 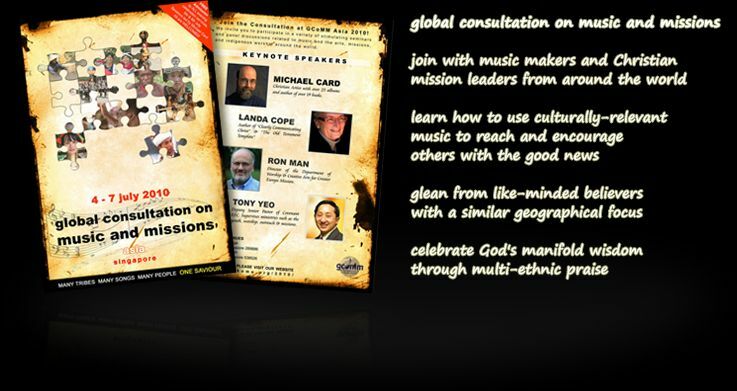 g The third Global Consultation on Music and Missions, a worldwide gathering of hundreds of musicians, music missionaries, educators, worship pastors, and Christian leaders, will be held July 4-7 in Singapore. There are 6 tracks, each with 6 sessions: Missions, Creative Communications, Creative Arts, Ethnomusicologists, Musicians, Chinese Ministries. 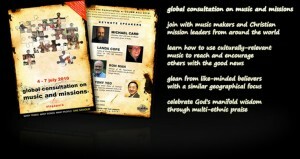 People involved in missions, media, worship leading and creative arts will find this consultation to be invaluable. Registration deadline closes in a few weeks. Better act today. 11) Might You Offer A Gift In The Name Of Doug’s Music? 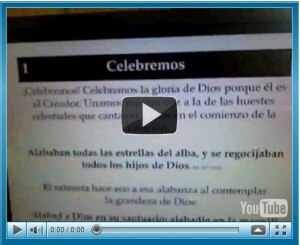 Note that you need not register at MySpace to listen or download music there. Note that Doug arranged and recorded each piece, using only a Yamaha keyboard to make all those unique sounds. (Exception: On a couple of the songs, Doug’s 22-year-old son pitched in on a real guitar; those are noted.) If you’d like us to lash up a CD and send it your way, please just add an extra $10 to your donation and we’ll get one out the door to you as soon as we can make it happen. (The alternative would be to download the songs and put them directly on your MP3 player, if you use that sort of thing.) Either way, if enough folks get a kick out of this, we’ll be glad to do a set of Christmas songs (a Christmas CD) as well. It’s just hard to know if anyone would really want to listen to this sort of stuff. Thanks in advance for anyone who tries it out. Again, you can choose to use PayPal or any major credit card (to do the latter, when it asks for your PayPal account, just erase the user name and password, then, at the bottom of the page, where it says “Use any major credit card”, just click there and fill it out like a normal form at any other payment web form. On the other hand, if you want to use PayPal, just fill in the info for your account. Or if you prefer, just send an old-fashioned check payable to Team Expansion to: Team Expansion (Brigada), 13711 Willow Reed Dr., Louisville, KY 40299. (Team Expansion is a 501(c)3 incorporation so for USA citizens, your checks made out to Team Expansion are tax-deductible.) As always, be sure to let us know if you’d like us to promote any particular service or ministry, or if you’d prefer your gift be anonymous. And thank you in advance for helping.